Herein are assembled an expanding catalog/archive of materials involving the Back From The Brink campaign, chronicling its development and growth as well as providing historical analysis and resources to provoke and educate. 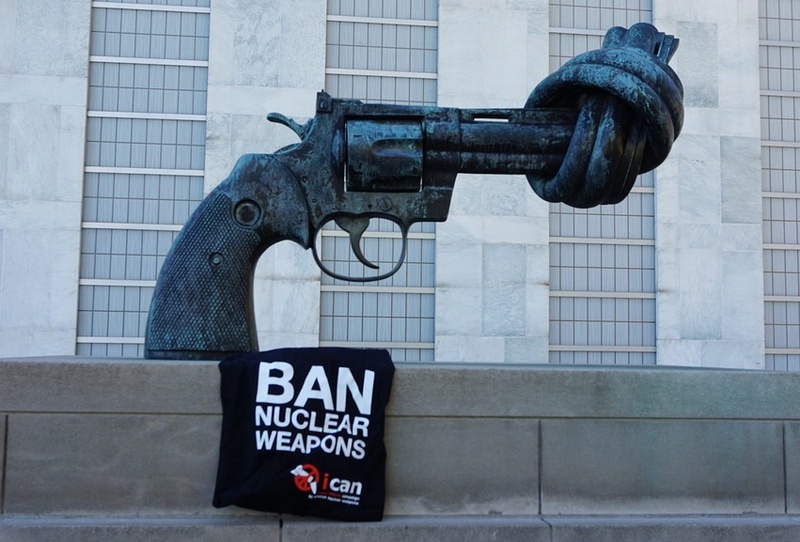 The Campaign’s purpose is to pursue The Call for the U.S. to lead negotiations with the other nuclear weapon armed states to eliminate nuclear weapons. This campaign is modeled on the Freeze movement and seeks to leverage a moment similar to the early 1980’s when Ronald Reagan’s hawkish plans for nuclear war fighting scared people to death and made them open to the idea that they needed to take action. 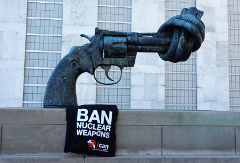 The Freeze was organized around a simple call to stop the arms race in a form that people could take to any organization they worked with, providing a vehicle for engagement and action. What are coastal nuclear power plants doing to address climate threats? As shorelines creep inland and storms worsen, nuclear reactors around the world face new challenges. The Committee is new but not without a distinguished predecessor. Its name derives from The American Committee on East-West Accord, a pro-detente organization founded in 1974 by illustrious Americans – among them, CEOs of multinational corporations, political figures, educational leaders, and policy thinkers such as George F. Kennan. That Committee, believing cold war had ended, closed its doors in 1992, though not before being credited with having contributed to the historic agreements reached by Presidents Ronald Reagan, George H. Bush, and Mikhail Gorbachev in 1985-1991. Today’s need for something akin to a new detente is no less imperative. And the new Committee for East-West Accord, which expects to be joined soon by an affiliated European branch in Brussels, strives for even more: A conclusive end to cold war and its attendant dangers. “the JRL,” has been a favored source of Russia-related information since it was founded by Editor-in-Chief David Johnson in 1996. The JRL is a project of the Institute for European, Russian and Eurasian Studies (IERES) at The George Washington University’s Elliott School of International Affairs. Our world has never faced a more challenging era than today. At CCI, we experienced one other such dangerous period in 1980. We flew in between the two enemy nations and dared to try to understand the challenges on both sides. Our citizen-to-citizen programs began to soften the environment between the two Superpowers of that era. Other American groups also got involved. War was averted and good relations began to grow in the 1990s. Our vision is: When real people in large numbers get involved, amazing changes begin to happen! If it happened in the 1980s, it can happen again. Join us! Let’s help reduce the tensions existing today between the two Superpowers. We begin our new mission armed with the knowledge that our original efforts in 1983 produced magic and miracles beyond anything we could have imagined—and with the belief that 99% of Americans and Russians genuinely yearn for good relations between our two nations. There is no problem between the peoples of our countries. We only need to overcome our distrust and fears, and rebuild the proper relationships to guarantee security for both nations. Address at the National Press Club, Washington D.C.